Hello there and welcome back for the bi-weekly Monday Montage blog hop. Tonight is our first night back in a few weeks. I'm happy you've joined us! 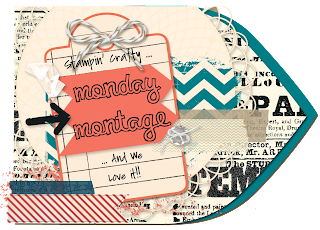 Did you arrive here from Cathy's blog? 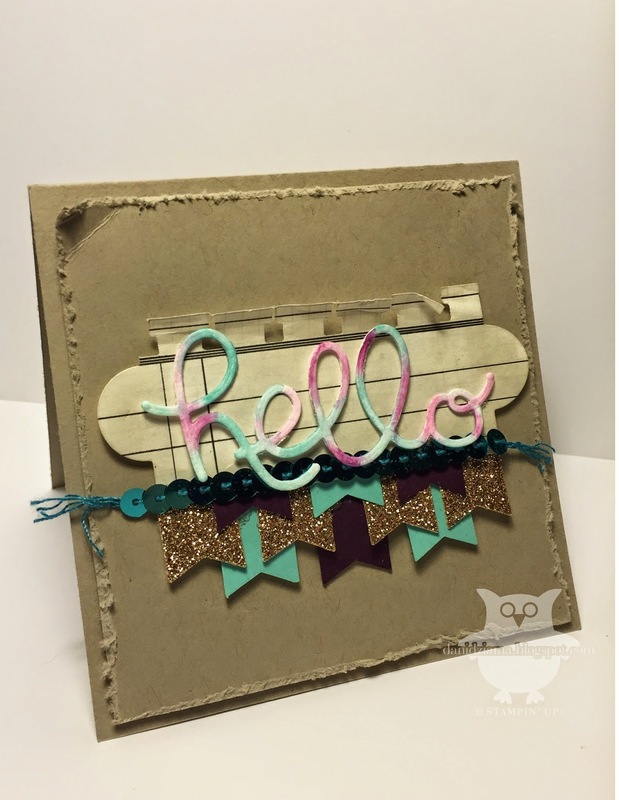 If not- be sure to use the BACK button at the bottom of this post to see her awesome project! Tonight's project is a simple 4-1/4" square card. I sometimes get bored creating the same card size over and over so I figured I'd change it up a little. This is what I came up with. Happy Easter! If there's one thing I love about the holidays- it's creating cute little treats to give to my favorite peeps. I'm always looking for fun and creative ways to package my gifts and the treats below were a perfect fit! 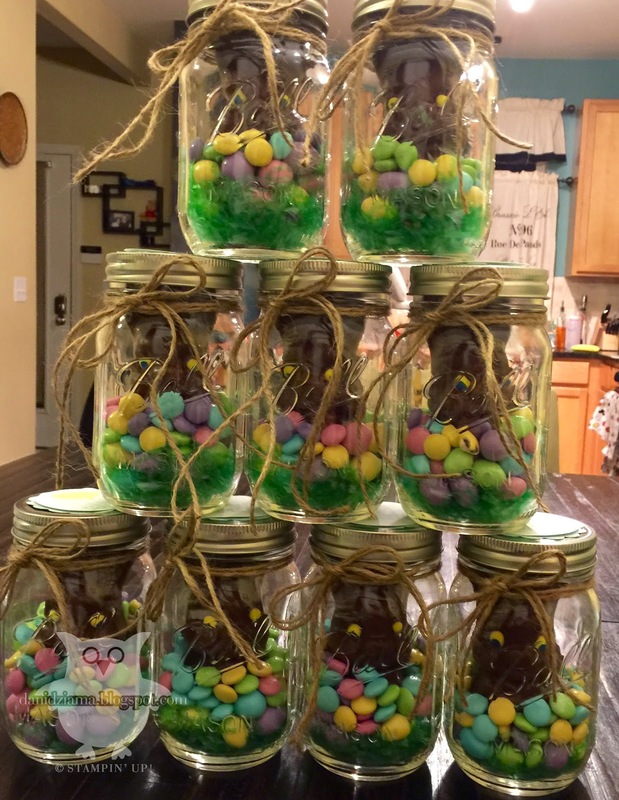 I absolutely adore everything involving a mason jar so when I came across these on Pinterest- I knew what I had to do! 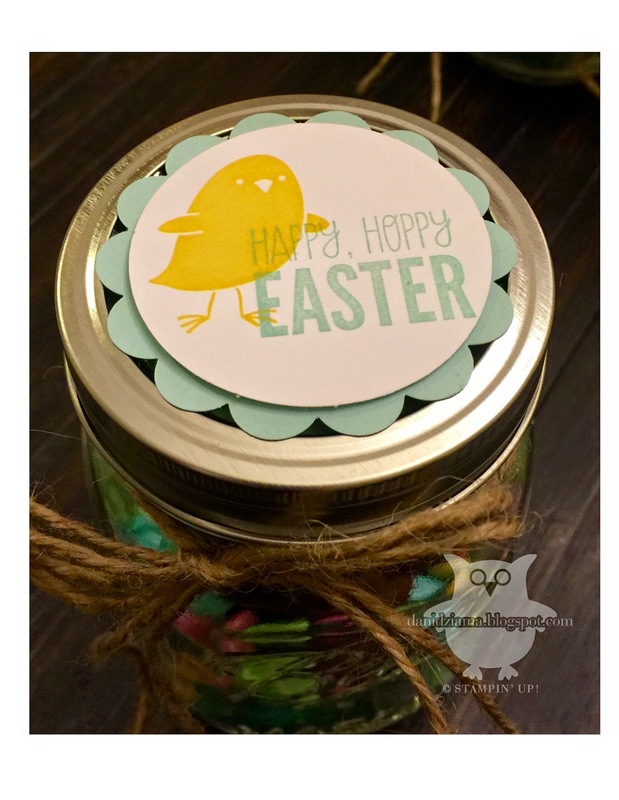 I made a total of 36 of these adorable little Easter mason jars. The lucky recipients- my co-workers and the doctors that I work for. Thankfully everyone loved them! I even had a few left over and was able to share those with my daughter's co-workers. I couldn't just fill the jars and not add some stamping to them so I made little tags to fit the lids. For Peeps' Sake was the perfect stamp set to use! Aren't they adorable?